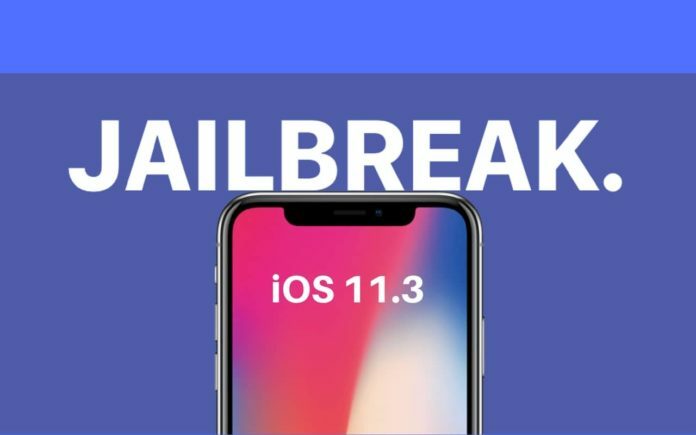 Now we can jailbreak iOS 11.3 with different jailbreak Methods Like Electra Jailbreak, Median jailbreak, LiberiOS jailbreak, Saigon jailbreak and additionally included Famous Cydia Jailbreak. We have discussed in our few previous post on the different ways by which you can jailbreak your iOS 11.2, iOS 11.3 and coming iOS versions. Today in our post we will discuss step by step on how you can jailbreak your iOS 11.3. We will break down all the jailbreak into categories and show you how you can download and install the jailbreak alternatively. The jailbreaks we will show in our post are all verified and tested. Note: We don’t encourage doing Jailbreak and jailbreaking your device is Officially illegal and please try at your own risk. Meridian is a new jailbreak for iOS 10.3.3 – 11.3 released by developer iBSparkes. It is not a great ending, but rather a slow and slow ending. That may still be the case, but lately, there has been a lot of activity that could also suggest otherwise. As a new jailbreak released for iOS 11.3 64-bit devices and this new jailbreak is known as Meridian and should work perfectly on any 64-bit device, including iPads. Median Jailbreak IPA: Theoretically, the installation is very simple and simple, you only have to download the Meridian IPA file by clicking here and using Cydia Impactor, transfer it to the iPhone or iPad and run the application. With this, the Cydia store will be installed. Just keep in mind that at the moment Cydia Substrate is not compatible, so we expect Saurik to launch an update for 64-bit devices. The new Goblin jailbreak is a combination of vortex exploit and yalu102. You can use it for any A7-A9 devices running iOS 10.3.3 – 11.3. Goblin Jailbreak is a new application capable of installing Cydia in iOS versions 10.3.3 – 11.3 After Downloading GOblin Jailbreak IPA and install it on your iOS you can count on the typical Jailbreak, which offers certain functions that we would not find in a normal terminal. There was still no way to jailbreak these versions of iOS until this application appeared, which is cause for celebration for some. You may need to open it several times until it finally works since it is a beta application that still has bugs. Helix Jailbreak IPA allows you to apply a Jailbreak to 32-bit iOS devices that have versions 10.3.3 or 11.3. After downloading H3lix Jailbreak, we just have to proceed to install it on our iPhone using Cydia Impactor. Once we finish the whole process we will have an iPhone with Jailbreak ready to use. 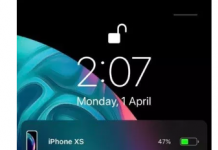 To install Saigon jailbreak click Here and visit the post where we have written step by step on how to Install Saigon jailbreak, just follow the same jailbreak for your iOS 11.3 and you will be good to go. 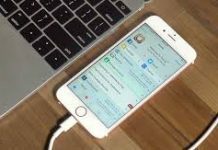 Electra Jailbreak Tool is made by an iOS hacked named Coolstar and his Tool is capable of jailbreaking all models of iPhone, iPad and iPod touch running iOS 11.0 all the way up to iOS 11.3. To install Electra jailbreak for your iOS device Follow the Tutorial guide and follow the same for your iOS 11.3 device. We can also Jailbreak 11.3 using Pangu jailbreak, with the release of iOs 11.3 pangu developers released a jailbreak for iOS 11.3. So as soon as a new update is released, the consciousness of the youth aroused and so they are seeking for a proper jailbreaking tool. The selection of most of them is the Pangu jailbreak. 05. Then tap on “Add to home screen” option and later on “install” option. Well, These are all the possible jailbreaks that you can try for your iOS 11.3. Hope These methods work for you if you guys have any issues do comment and we will try to help you guys.